This post when read in the backdrop of recent pedophilia cases that have surfaced in Pakistan (Kasur to be specific) will make a lot of sense. It is a lamentation of a concerned parent who has been ripped off by a Telecom operator, without so much as a reminder or anything of the sort, called as “Customer Care”. And off course there will be many parents out there who will vouch for this ramble’s piety. 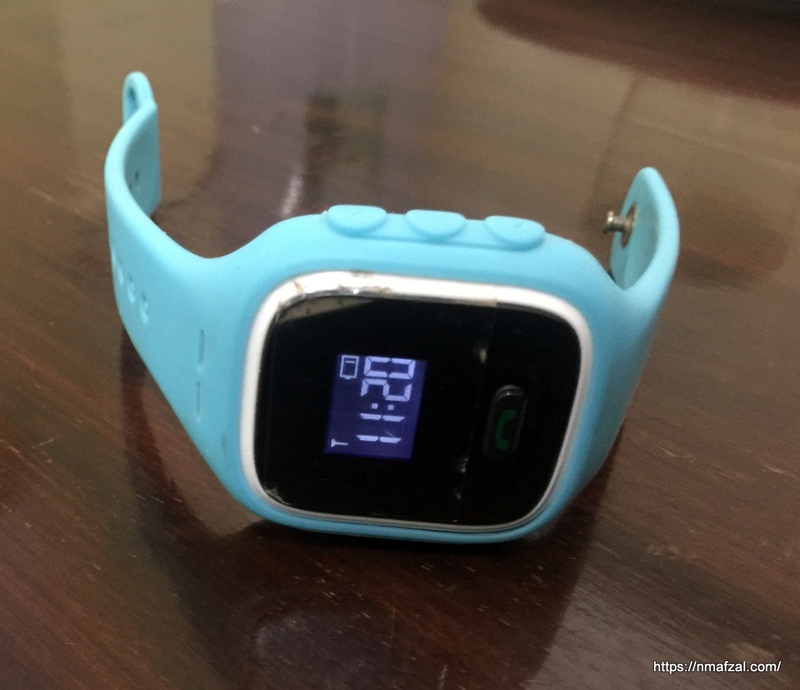 So it happened about a year ago that one of the Cellular Mobile Operator’s in Pakistan announced their plan to launch a Kids Watch that would let parents keep a track of their children’s physical presence, thanks to modern technology. In a matter of months all mobile operators in Pakistan were offering these services. I had to get one for my kid and I did get it. The “thingy” had a lot of attractive features, like you could set a geo-fence for the kid, and it would send you a warning in case the kid went out of that specific area. You would get a call or warning if the kid removed the watch, the kid won’t be able to switch off the watch, it would send a warning in case the battery on the watch went low, the kid could call 5 numbers to be specified by the parent’s smartphone, it could receive calls/text only from those specific numbers and last but not the least the parents could view their child’s location on map using their smartphone. This made the watch really attractive for parents, and I off course I got one for my kid, from Zong, since I use a Zong number. The watch worked fine for a year and gave me good service. For a year I had the peace of mind whenever my kid went out for a game of soccer or for anything. About two months back the watch went dead. All efforts to restart it went in-vain, that’s when I came to know that its battery had died. A call to the “Customer Care” department told me that they didn’t have any spares, be it battery or anything. More hours were spent on Google and I was finally able to buy a battery from China, thanks to Aliexpress. The new battery was installed and the watch became operational albeit only for a few weeks. That’s when the thing died for good. I could call my kid and he could call me but we couldn’t talk to each other. It wouldn’t show anything on the map, and all efforts to get my kids location were unfruitful. The Zong live chat was consulted, which told me I had run out of “Balance” in the watch’s prepaid subscription. More money was deposited and it went down the drain. Finally the guy at the other end of the line suggested I visit the “Customer Services Department” in Blue Area. Lo and behold, the loner was there in an hour, only to be told that the Rs. 500 I had deposited online were no more!!! It had vanished in thin air!!! Why but? Well the GPS used it off course, came the soft reply. Well this never happened in a year’s time. Any now again I was told to handover Rs 500 and off course that was deftly transferred to the prepaid watch services account or whatever it is. That done, the watch still didn’t work. That’s when the lady at the “Customer Services Center” started calling various other helplines and finally told me she couldn’t help me as Zong “almighty” had discontinued the Kids Watch, service, JUST LIKE THAT!!! #$%@### And that’s exactly what I felt like telling her but the gentleman in me forbade me to say it. 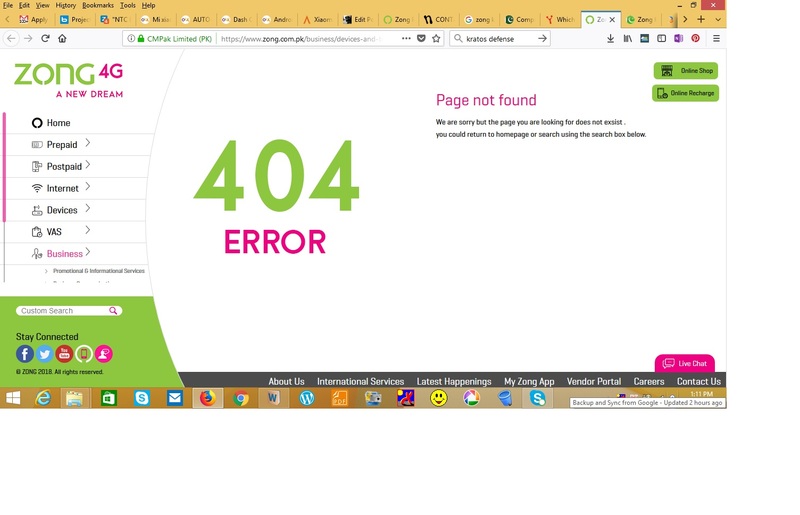 So that explains the dead link on Zong’s official website for the coveted Kids Watch. What really pisses me off is that not a word was said about it in the local media, press or their website regarding discontinuation of this product and parents like me kept on having a false sense of security that our kids were in deed safe since they were wearing these watches. Forget the high sounding words like “Corporate Social Responsibility”, “Biggest and fastest network” etc etc what about a good business case? What about retaining loyal customers? What about branding? What about kids? What about parents who fear pedophiles? What about decency? What about not ripping off customers? What about CPEC? What about US? What about Pak-Cheen dosti? So for now all I can say to Zong is this #$%@###, #$%@### and more #$%@###. I guess its time to look elsewhere, for such solutions. But interestingly all such pages are now dead links, Telenor, Zong, Mobilink and Ufone. Bravo to all of them. Please try this link, if it works or if I am missing something please let me know. And just today I found Zong has launched a Zong Smart Car service or something like it, I can wager my half month’s salary it won’t work for long. i visited their customer service center last year to get one, but they advised me against it on the plea that it has many coverage & other issues. So i dropped this idea. Otherwise i am seriously looking for a reliable solution but find any so far. There are few available on aliexpress but i am not sure how will they work. Anyhow its sad to see the third class attitude towards customers by these big names. I’ve seen the ones on Aliexpress. They have their dedicated app. But can’t be sure unless we try it out.